Update January 4, 2013: The easiest way to do this is to use Ian Dees’s Divvy API as it outputs straight to GeoJSON (which QGIS likes). See below. For Michael Carney’s Divvy bike-share stations + Census tract + unbanked Chicagoans analysis and map he needed the Divvy station locations as a shapefile. 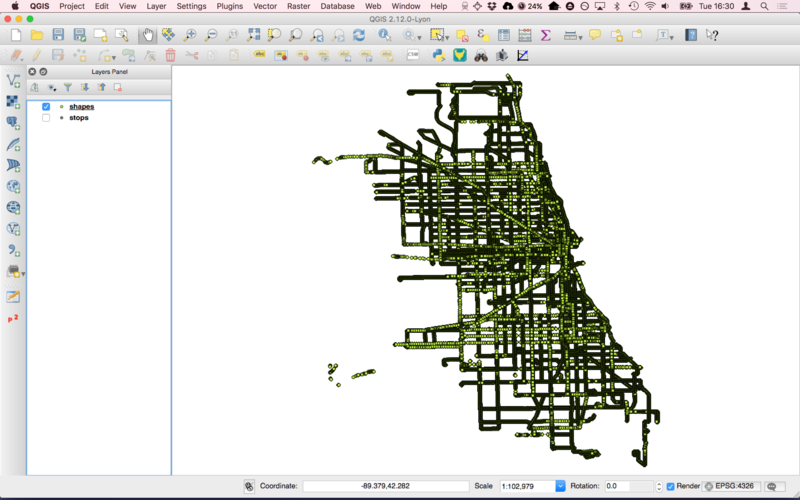 I copied the JSON-formatted text of the Divvy real-time station API, converted it to CSV with OpenRefine, and then created a shapefile with QGIS. I added a lot of parking lots to OpenStreetMap this weekend, but I also added the Willow Creek Community Church (South Barrington, Illinois) parking lots, driveways, buildings, and retention ponds. I’ll let my before and after screenshots show you what I did. Ian Dees, local organizer for Chicagoland OSM data – he has other roles, too – said there’s an application that can generate these images automatically. 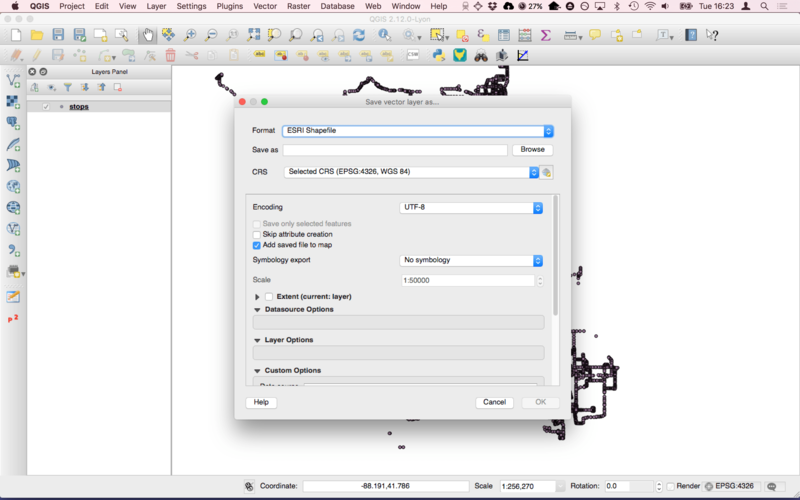 I’m also writing a draft tutorial on how to convert GIS data stored as a shapefile to a format you can import into AutoCAD. GRASS will take a .shp and convert it to .dxf (a geo-aware CAD file). 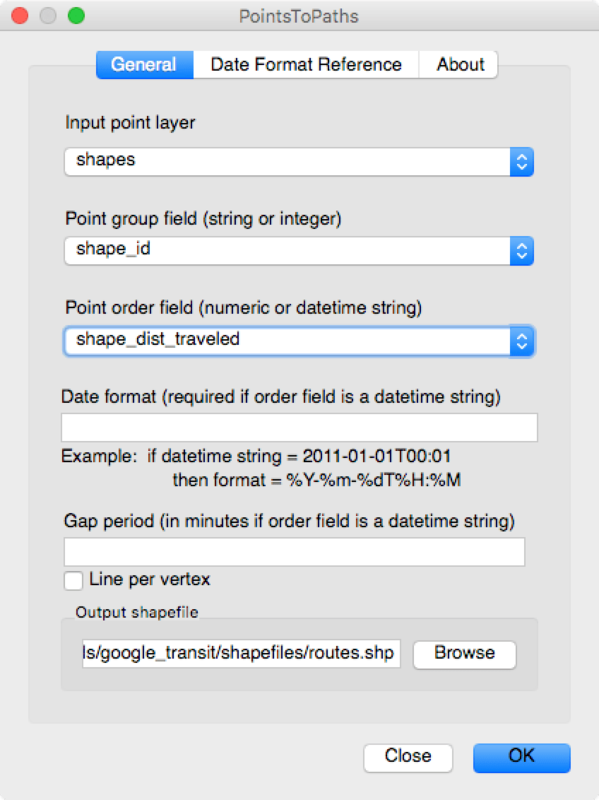 It is now possible to upload a shapefile (and its companion files SHX, PRJ, and DBF) to Google Fusion Tables (GFT). Before we go any further, keep in mind that the application that does this will only process 100,000 rows. Additionally, GFT only gives each user 200 MB of storage (and they don’t tell you your current status, that I can see). Login to your Google account (at Gmail, or at GFT). Prepare your data. Ensure it has fewer than 100,000 rows. ZIP up your dataX.shp, dataX.shx, dataX.prj, and dataX.dbf. Use WinZip for Windows, or for Mac, right-click the selection of files and select “Compress 4 items”. Visit the Shape to Fusion website. You will have to authorize the web application to “grant access” to your GFT tables. It needs this access so that after the web application processes your data, it can insert it into GFT. If you want a Centroid Geometry column or a Simplified Geometry column added, click “Advanced Options” and check their checkboxes – see notes below for an explanation. Choose the file to upload and click Upload. Leave the window open until it says it has processed all of the rows. It will report “Processed Y rows and inserted Y rows”. You will be given a link to the GFT the web application created. Community Areas – 77 official community areas + 3 “out” areas to make 80 polygons. Special Service Areas – akin to business improvement districts, including Wicker Park-Bucktown SSA. I had trouble many times while using Shape to Fusion in that after I chose the file to upload and clicked Upload, I had to grant access to the web application again and start over (choose the file and click Upload a second time). Centroid Geometry – This creates a column with the geographic coordinates of the centroid in a polygon. It lists it in the original projection system. So if your projection is in feet, the value will be in feet. This is a function that can easily be performed in free and open source QGIS, where you can also reproject files to get latitude and longitude values (in WGS84 project, EPSG 4326). The centroid value is surrounded in the field by KML syntax “<Point><coordinates>X,Y</coordinates></Point>”. Simplified Geometry – A geometry column is automatically created by the web application (or GFT, I’m not sure). This function will create a simpler version of that geometry, with fewer lines and vertices. It also creates columns to list the vertices count for the simple and regular geometry columns. Read my tutorial on how I created the pedestrian map with GeoCommons. Read on for an introduction to GeoCommons and online GIS tools. GeoCommons, like Google My Maps and Earth, is part of the “poor man’s GIS package.” It’s another tool that provides (few) of the functions that desktop GIS software offers. But it excels at making simple and somewhat complex maps. I first used GeoCommons over a year ago. I started using it because it would convert whatever data you uploaded into another format that was probably more useful. I mentioned it in this article about converting files. 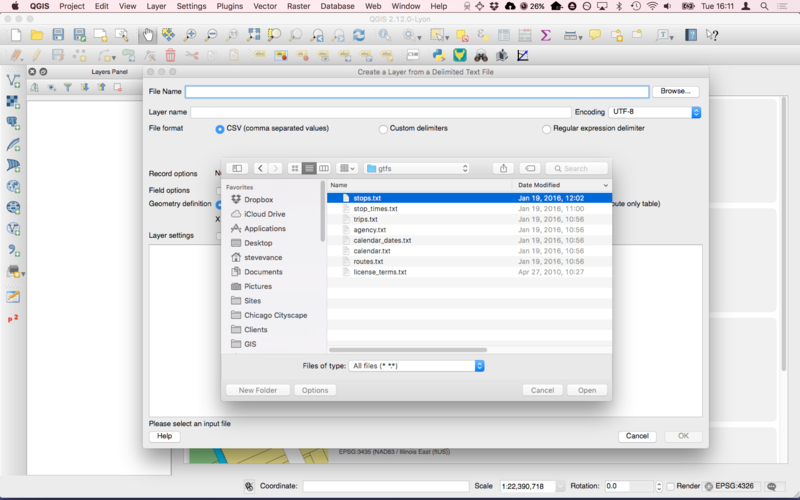 For example, if you have a KML file, you can upload it and export it as a shapefile for GIS programs, or a CSV file to load into a table editor or spreadsheet application. After creating the Chicago bike crash maps using Google Fusion Tables, I wanted to try out another map-making web application, one that provided more customization and prettier maps. I found that web application and created a version of the bike crash maps, with several other data layers, in GeoCommons. I overlaid bike counts and bikeways so you can observe some relationships between each visual dataset. My latest map (screenshot below), created Wednesday, shows pedestrian counts in downtown Chicago overlaid with CTA and downtown Metra stations, as well as the 48 intersections with the most pedestrian collisions (from this UNC study, PDF). Screenshot of pedestrian count map described above. I bet there’s a way you can use Google Fusion Tables and GeoCommons for your job or project. They’re extremely simple to use: they can take in data from the spreadsheets you’re already working on and turn them into themed reference maps. With mapping, you can do simple, visual analysis that doesn’t require statistical software or knowledge. Imagine plotting your client list on a map and grouping them by age to see if perhaps your younger clients tend to live in the same neighborhoods of town, or if they’re more diverse (should you do this, keep the map private, something that you can’t do in GeoCommons – yet). You may also find it useful if you want to create a route for your salespeople or for visiting church members at their homes. Plot all the addresses on a map, then manually filter them into different groups based on the clusters you see. With Google Fusion Tables, you can easily add a new column with the GROUP information and apply a numbered or lettered group and then re-sort. 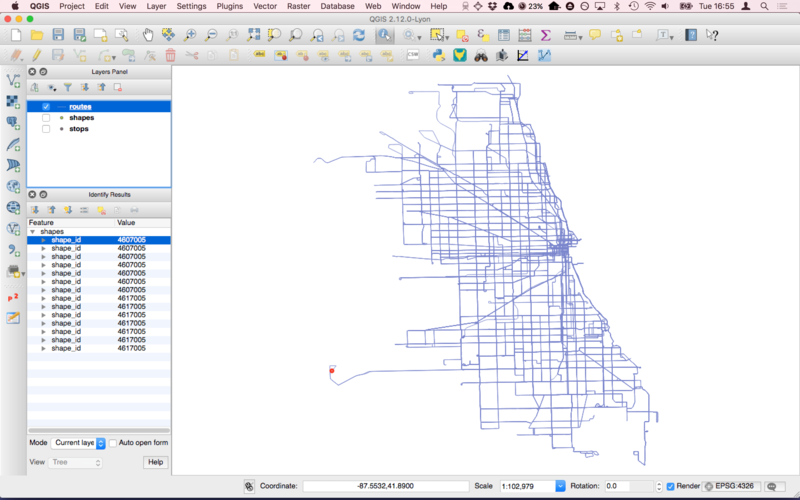 Merge tables with geography – I uploaded two datasets: a table containing census tract IDs and demographic information for Cook County I downloaded from the American FactFinder 2; and a shapefile containing Cook County census tracts boundary information. 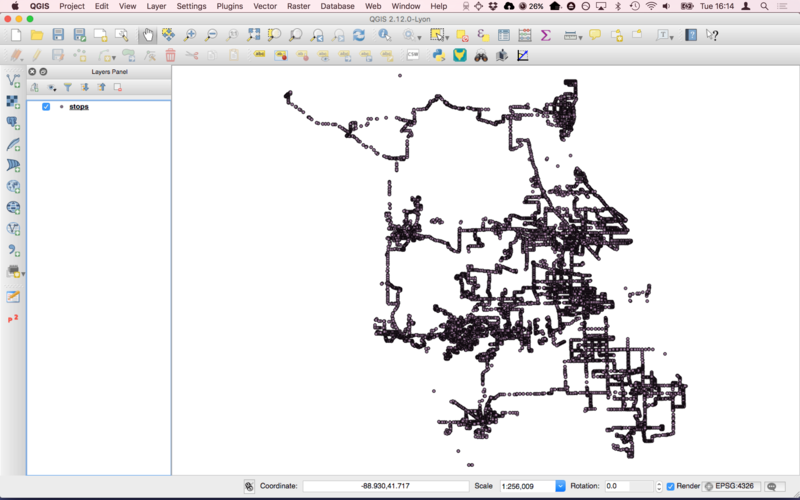 After merging them, I could download a NEW shapefile that contained both datasets. Convert data – This is by far the most useful feature. It imports “shapefiles (SHP), comma separated values (CSV), Keyhole Markup Language (KML), and GeoRSS” and exports “Shapefile, CSV, KML, GeoRSS Atom, Spatialite, and JSON” (from the GeoCommons user manual). Read my tutorial on how I created the pedestrian map with GeoCommons. Google Earth Pro is a slightly more advanced version than the free edition of the popular satellite imagery application (okay, it does way more, but many people just use that feature). One major additional feature it includes is the ability to import GIS shapefiles and display their features on top of the imagery, including terrain. It’s useful to have your data as KML (Keyhole Markup Language) because KML (or KMZ) is easier to share and Google Earth standard edition is free. But then again, it’s useful to have your KML files as shapefiles because proper GIS software is more powerful at analyzing data. Also, someone might ask you for your data in shapefile format (but they could easily follow these instructions). Like Google Earth Pro,Â Quantum GIS (QGIS) can convert KML or KMZ to shapefile, and best of all – it doesn’t cost $400 per year (it’s free!). 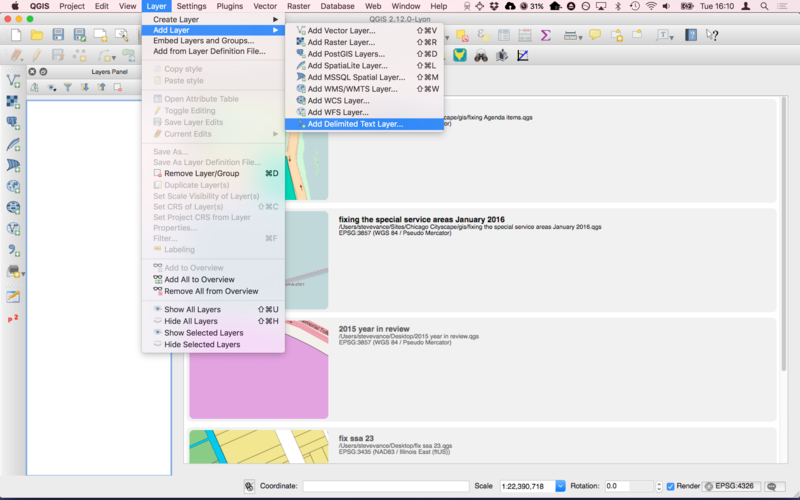 QGIS is a cross-platform application meaning it will run on Windows, Mac OS X, and Linux. Find your KML or KMZ file. Zonums provides online conversion tools. Or, use ArcGIS and this plugin to convert KML files to shapefiles. The freeware Shp2kml 2.o (Windows only) from Zonums will convert shapefiles to KML files. Want some free, interesting data to try it out?Â Check my ever expanding repository. ESRI’s ArcGIS canÂ convert KML files to shapefiles using this plugin and then import the shapefile as a layer onto your map. AsÂ I described in this post,Â BatchGecode will generate a KML file for you by inputting a list of addresses and names. Additionally, Google Earth (part of the rising Google GIS platform) creates KML files. Google’s My Maps feature also allows you to generate KML files (for sharing or download) by clicking and drawing points and lines on a map and inviting you to describe the features you create. Use this to get a map of your church congregation, or a map of people who voted for your candidate. MapWindow (another free software choice; Windows only) – An alternative to QuantumGIS and ArcGIS. ExpertGPS (Windows only, not free) – Ideal for GPS device owners, or for researchers using GPS devices in projects. But it can convert the GPS and shapefile data into KML, shapefiles, or a spreadsheet, amongst other functions. Zonums, creator of the standalone Shp2kml software converter, nowÂ offers many online tools for KML users, including one that reverses the conversion and exports shapefiles from KML files. I found the link onÂ FreeGeographyTools.com. 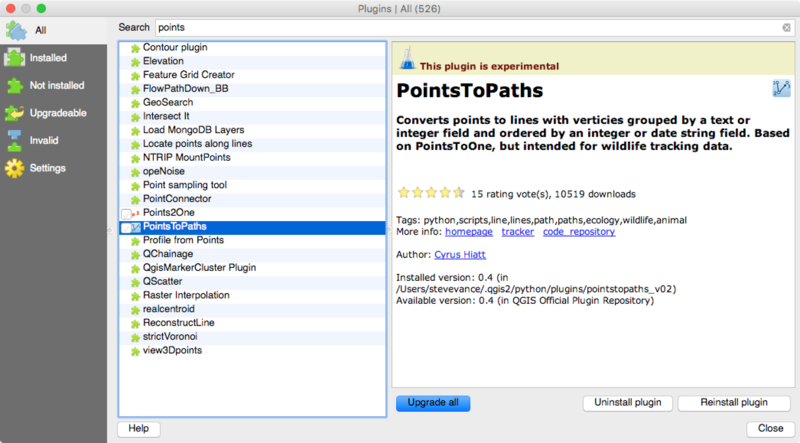 OpenGeo Suite – Commercial software with non-profit licenses. uDig – Free GIS software, but I haven’t had good experiences with it on my computers. GeoCommunity has a good article, with screenshots, on how some of these programs work. Need to work with General Transit Feed Spec (GTFS) data?